2013 63 CITROEN DS3 1.6 DSTYLE PLUS 3d 120 BHP WITH ONLY 40,000 MILES IN METALLIC BRONZE IN IMMACULATE CONDITION . 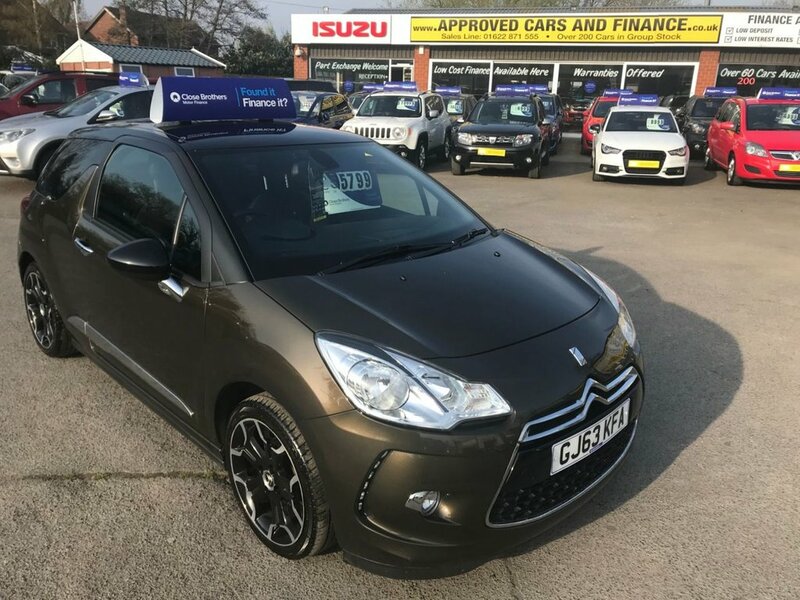 APPROVED CARS AND FINANCE ARE PLEASED TO OFFER THIS CITROEN DS3 1.6 DSYTLE PLUS 3 DOOR 120 BHP WITH ONLY 40,000 MILES IN A METALLIC BROWN, WITH A FULL SERVICE HISTORY AT 8K, 18K, 20K, 35K, AND 38K. 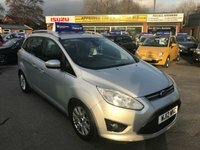 THIS IS VEHICLE HAS A GREAT SPEC SUCH AS BLUETOOTH, ELECTRIC FOLD IN MIRRORS,ELECTRIC WINDOWS AND MUCH MORE.THIS IS A PERFECT FIRST TIME CAR WITH A FULL SERVICE HISTORY IN A IMMACULATE CONDITION NOT A VEHICLE TO BE MISSED. 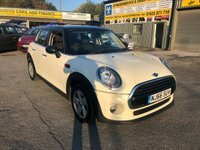 APPROVED CARS AND FINANCE ARE PLEASED TO OFFER THIS CITROEN DS3 1.6 DSYTLE PLUS 3 DOOR 120 BHP WITH ONLY 40,000 MILES IN A METALLIC BROWN, WITH A FULL SERVICE HISTORY AT 8K, 18K, 20K, 35K, AND 38K. 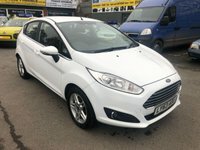 THIS IS VEHICLE HAS A GREAT SPEC SUCH AS BLUETOOTH, ELECTRIC FOLD IN MIRRORS,ELECTRIC WINDOWS AND MUCH MORE.THIS IS A PERFECT FIRST TIME CAR WITH A FULL SERVICE HISTORY IN A IMMACULATE CONDITION NOT A VEHICLE TO BE MISSED. Full dealer facilities are available including special rate Finance and card payments. Extended Warranties are available for up to 3 years. All of our cars are HPI checked and come with a 3 month mechanical breakdown warranty as standard (excluding trade clearance cars), HPI certificate & MOT print out. We also offer a drive away same day facility and a home delivery facility. We can face time you a live demo of the car of your choice upon request. Opening hours are 9.00am – 6.00pm Mon to Sat and 10.30am-5pm Sun. We also have an after hours sales mobile number 07484 929716 for calls or texts. All major credit/debit cards accepted. Finance and Warranties are available. 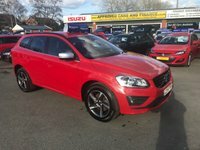 Approved Cars make it our business to try to get you a good deal on your purchase & if you require finance we can help no matter what your financial situation.